The Dinner Devils visited Water Street Cafe in the summer of 2018 and will be back in 2019. 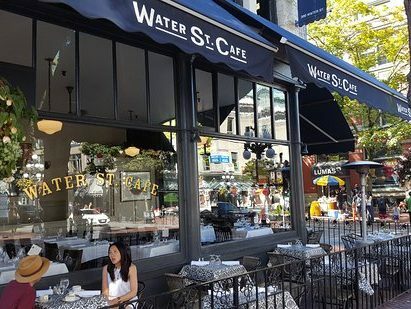 Water Street Café, established in 1988, is a Gastown cornerstone overlooking cobbled streets and the famous steam clock. After all these years they still pride themselves on only using the freshest ingredients. All their menu items are made in-house, from the daily baked breads to their exquisite desserts. The superb menu features the freshest of seafoods, creative pastas and daily specials all prepared with imagination and flair. 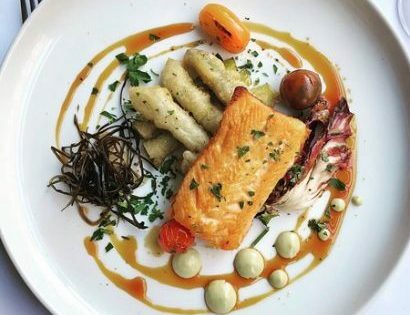 The Water St. Café is what every small restaurant should be, a commitment to quality, value, and service.